We couldn’t pass up mentioning this sign. 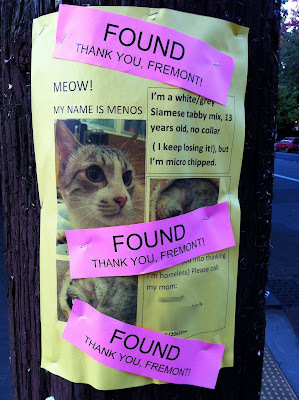 So often you see a poster for a missing pet and you don’t know if the pet was ever found. The loop is never closed. You are left wondering. 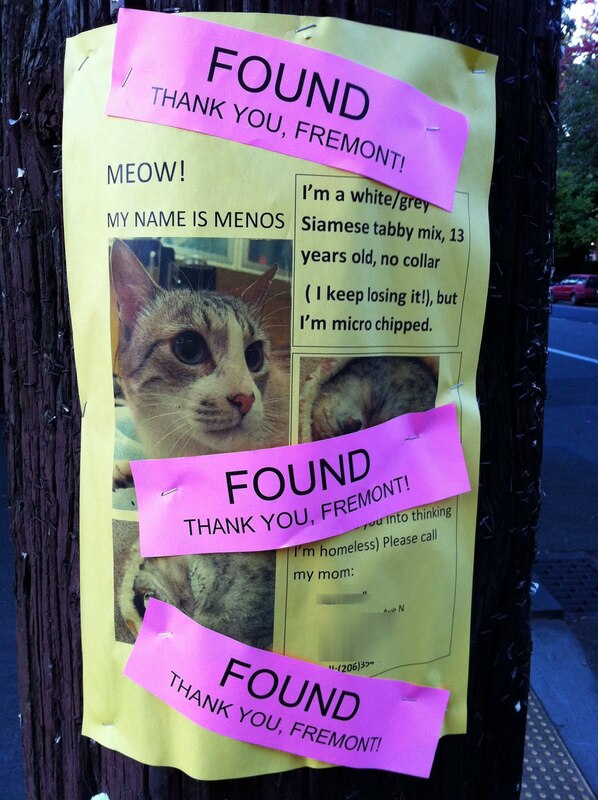 Well, here is proof that at least one pet was found and the owner wanted to thank Fremont and close that loop.